One of the biggest lessons of solo travel is finding the balance between time on your own and time in the company of others. The events of Into the Wild are set in the 1990’s when access to mobile information and communication is nowhere near the level it is today; it’s so commonplace now that it no longer stands out. I’m talking about communal areas in hostels and hotels full of travelers, their faces illuminated by a plethora of devices. Bars with well dressed types sat round a table with their heads buried in their phones, and family day trips where each member sports a different piece of buttonry, eager to deplete their energy and sap their general attention. Don’t get me wrong, I’m no different. With free wifi available on every street corner, I certainly can’t judge. Though in Into the Wild, Chris McCandless (Emile Hirsch) leaves it all behind to seek solitude by slowly making his way to Alaska, forming a series of life-changing relationships along the way. Into the Wild. 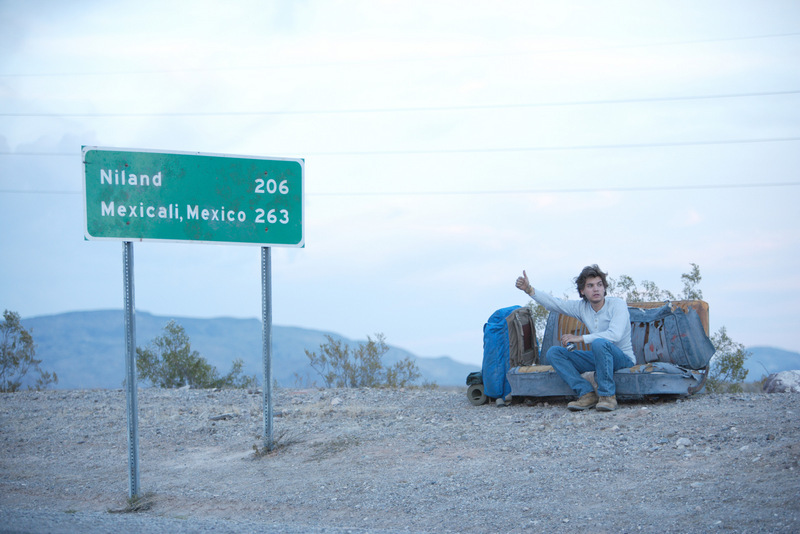 Chris McCandless (Emile Hirsch) leaves it all behind to seek solitude in the wild. Directed by Sean Penn, Into the Wild is a film based on the true events which inspired Jon Krakauer’s book of the same name. 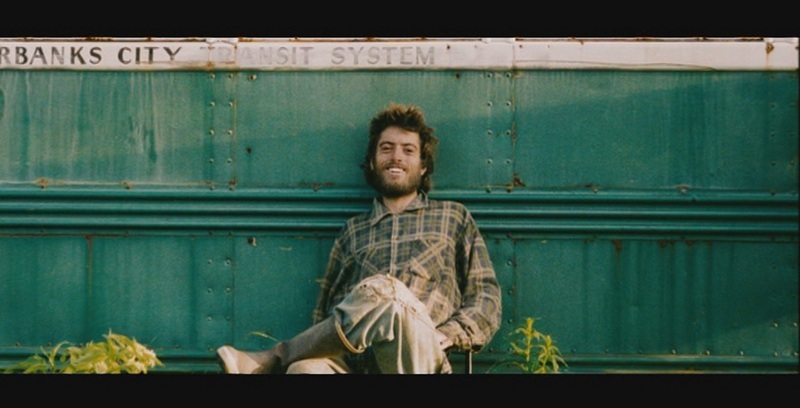 The film cuts between the time McCandless spends living and learning from those he encounters on his way to Alaska, and the time spent by himself living off the land when he finally arrives. Once in Alaska he finds an abandoned school bus nicknamed The Magic Bus which he decides to call his home. In the early stages of Into The Wild, Chris McCandless graduates from college and his parents take him to dinner to celebrate. They offer to buy him a car as a graduation present to which he angrily objects. He rejects the notion of accumulating wealth and material possessions, and makes the choice to live frugally and practically, on the bare minimum he needs to survive and be content. He is determined to turn his back on the life which is already set out for him. A career, house, car, marriage, children, retirement. He doesn’t want one bit. Into the Wild. Making the choice to live frugally. Before he leaves for Alaska, McCandless donates the rest of his savings to Oxfam, burns all his identification, and gives up the lease on his apartment. His parents don’t hear from him for some time so they drive to Atlanta so see him where they find a “For Rent’ sign, and the manager of the apartment explains that Chris moved out two months ago. 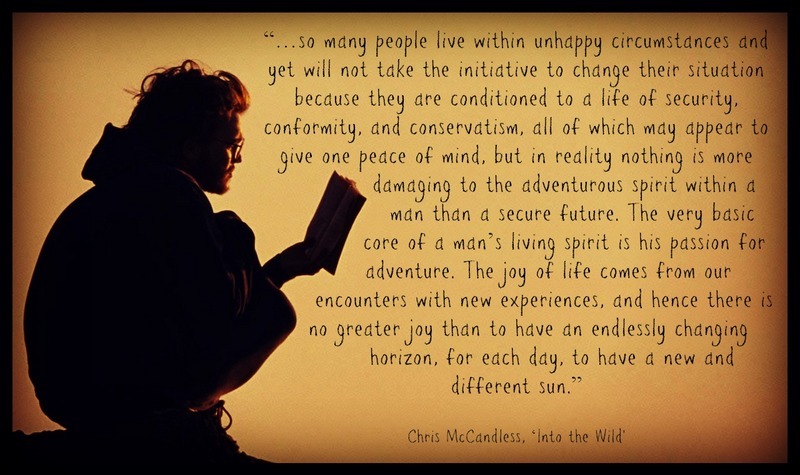 We’ve all been influenced in some way by the films we watch, the music we enjoy and the books we read, and Chris McCandless is no different. He finds comfort in the words from his favorite authors Tolstoy, London and Thoreau, and we are privy to the notes left in his personal diary. Very close to his sister Corine (Jena Malone), who narrates throughout the film, her narration gives us a much deeper insight into Chris’ personality, and the reasons which led to his choice to pursue solitude in Alaska. Privy to the notes from McCanless’ personal diary. Chris isn’t just an angry, naive adolescent, he is politically aware and well educated. He wants to live his own life and create his own path. Even if it is one that is less traveled. When questioned about his past, he answers with the bare minimum, or changes the subject completely. Everyone should have the opportunity to re-invent themselves. Budget airlines and the shared economy have made the ability to travel cheaper than ever before. McCandless doesn’t rely on the help of others to assist with his goal of getting to Alaska – but he’s more than happy to accept it when it’s offered. 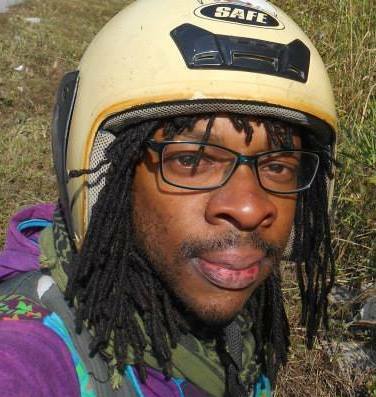 His journey is more about being open to the unconventional; stowing away on a train, ‘borrowing’ a canoe, for example. McCandless is mature beyond his years and has a profound impact on the people that he meets on his travels. He plays marriage counselor to the hippie couple Jan (Catherine Keener) and Rainey (Brian H Dierker), and forms a lovely bond with retired army veteran Ron Franz (Hal Holbrook) so much so that he offers to adopt McCandless on his return from Alaska. While Mr Franz was stationed overseas an intoxicated driver hit his wife and son, killing them both. He challenges McCandless’ way of living and asks what he is running away from. McCandless counters by asking Mr Franz the same thing, urging him to get back into the world. Forming bonds and relationships along his journey. Stunning locations and thoroughly believable acting really bring out some of the central themes we all face growing up in this world, about how you wish to take control of your own life and your approach to it, and about how we should view the world in which we’re lucky enough to travel. It questions the need for material possessions and whether or not these bring true happiness, and highlights the need to strike that balance between time on your own, and time spent in the company of others. Inspired by the true story of Chris McCandless, pictured herein. Into The Wild is a film you can thoroughly enjoy several times over, and if you haven’t yet watched this film, I highly recommend it. It may just change your perspective on both travel and life. I remember watching this when it first came out and thinking it was an awesome adventure…until the end. haha. I don’t think I could do what he did though, and isolate myself like that. I’d be too lonely. Yeah! An awesome adventure + some great life lessons! Not sure how I would cope with the isolation either but you never know till you try, you might surprise yourself! Interesting review, thanks a lot for sharing. 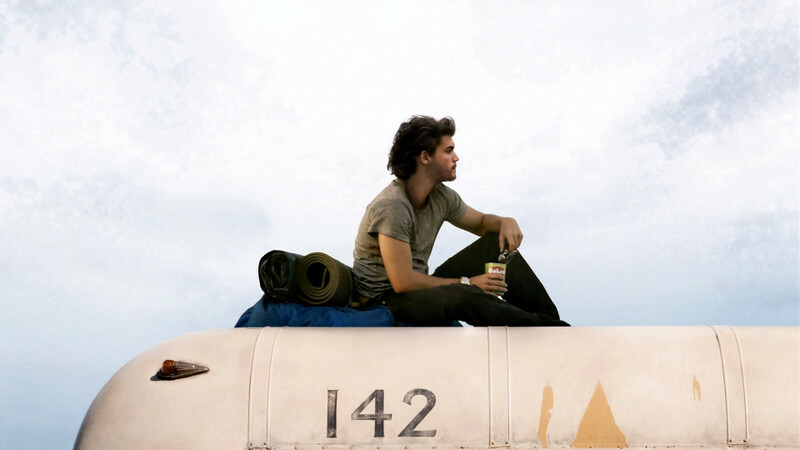 Actually, it inspired me to write my own post on “Into the Wild” – feel free to have a look. Thanks for sharing your thoughts. I really enjoy reading and hearing other perspectives on this film. Chris was definitely living a life that most would class as unconventional, he isn’t the first and won’t be the last. Perhaps because I am of a similar age there is an air of romanticism in what he did. I am sure my that would change had I been a parent watching this. This sounds awesome, I haven’t seen the film yet but now I really want to! Yes you should! The atmosphere, cinematography and soundtrack are all impressive! It definitely is an emotional film. I hope your wish will become a reality! I haven’t seen this movie yet, but I’m planning to. I honestly was a bit surprised when they announced that they cast Reese Witherspoon! I’m curious to see for myself how she does in this more serious role. Hey Beth! Thanks for stopping by and reading! :) Very easily done but I think you’re referring to ‘Wild’ with Reese Witherspoon, I’ve attached a link to my review I did recently. In the review I also refer to the similarities. I’m glad you liked it! And yes the soundtrack is brilliant! Hard Sun is one of my favourite songs. It is a great movie about self-discovery but I feel he’s being a bit ungrateful to his family by completely abandoning them. I’m more moved by Cheryl Strayed’s “Wild” (both the book and movie were excellent) as it is also a story about finding oneself but Cheryl had purpose. 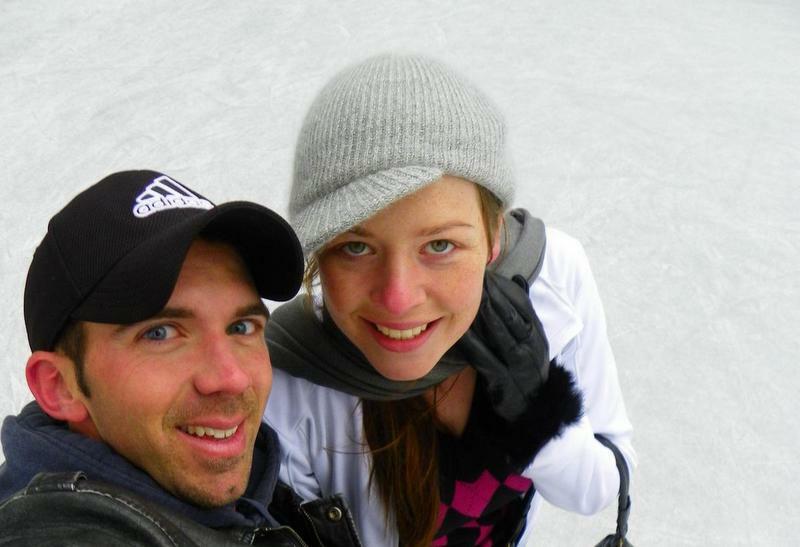 She left all her “baggage” on the Pacific Crest Trail and came out a better person. Thanks for commenting. I do think we need to put ourselves in our parents shoes when we go off on these types of adventures. I did review Wild over on my blog. At the review – features tab. Let me know what you think.